2.5 2 Be the first to write a review! Spa Pet Healing Shower Head Washsystem For Dogs And Cats! This new spa pet shower head massages while washing the animal, releasing water deep into the coat for a thorough rinsing action. 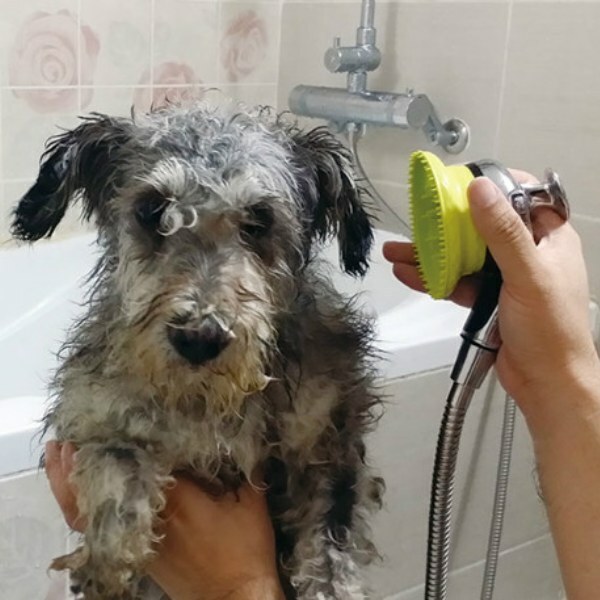 The soft, silicone massage head stimulates the pet&apos;s skin for a more enjoyable bathing experience while reducing splashing and accidental spraying in ears & eyes. Simple, single-handed operation leaves your other hand free for your pet.